Bad days often equal the best ideas. When I am having a not-so-awesome day I tend to escape into food fantasy. My happy place is a fully loaded kitchen with an unlimited supply of butter, bacon, and chocolate – and an open bar. Anyway, on one of my recent no-so-awesome days I retreated to my inner test-kitchen and decided I wanted to combine cinnamon rolls and chocolate chip cookies, with a little cream cheese tossed in for good measure. I can’t tell you how comforting the thought was, so when I got home I went to my real-life test-kitchen (aka, Shenanigans Central) and made my happy thought a very happy reality. 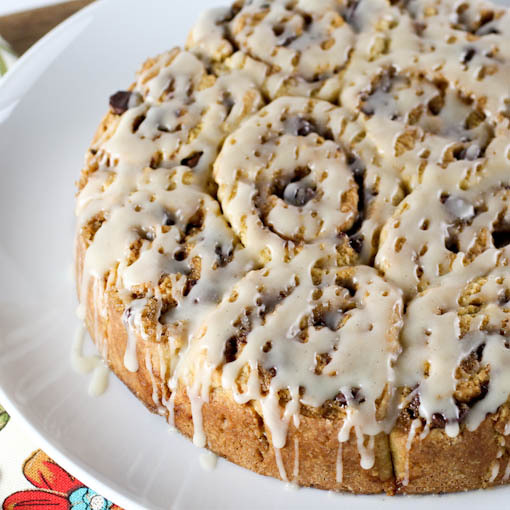 These are an adaptation of my Quick Sour Cream Cinnamon Rolls. I used the dough as inspiration for these rolls but traded cream cheese for sour cream giving them a tangy bite, but with a silkier, richer flavor. 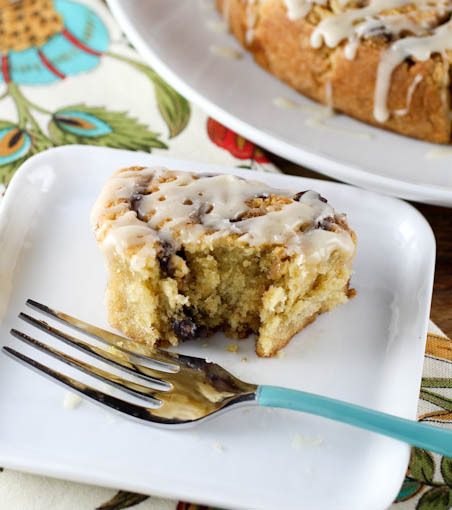 The filling is based on the flavors found in a chocolate chip cookie – butter, brown sugar, vanilla, and of course chocolate. Here I used bittersweet chips for their robust flavor. 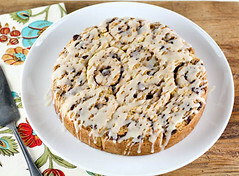 Finally, I drizzled over a little vanilla bean glaze to make the rolls pretty, and to add just a little more sweetness. These are wonderful warm, but they hold up well the second day. Some of my taste-testers said they liked them better the second day, so go figure. You can make these up the night before you want to bake them , just cover with plastic and stash in the refrigerator until ready to bake. 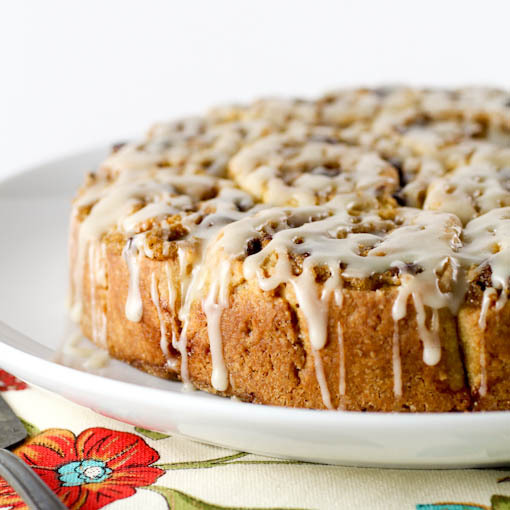 Heat the oven to 350 F and generously spray an 8-inch cake pan with non-stick cooking spray. 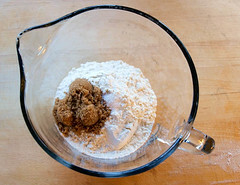 In a medium bowl combine the flour, brown sugar, baking soda, and salt. 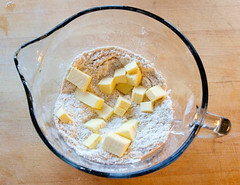 Whisk to thoroughly mix then add the cream cheese and, with your fingers, rub the cream cheese in to the flour mixture until it is completely combined and no pieces remain. Add the butter and, with your fingers, run the butter into the flour mixture until half has been completely combined and the rest is in pea sized pieces. 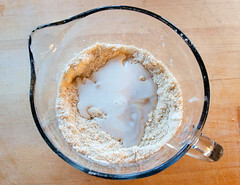 Make a well in the center of the dry ingredients and add the buttermilk and vanilla. 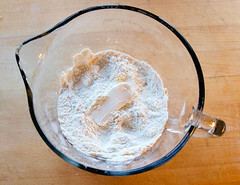 Mix until the flour is just moistened then turn the dough out onto a lightly floured surface. 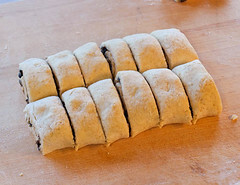 Press the dough into a rough rectangle then fold in half. Repeat this process three more times, the dough should be smooth and easy to work with, and then cover the dough with plastic and chill for 20 minutes. While the dough chills prepare the filling. 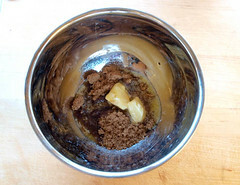 In as mall bowl combine the brown sugar, butter, and vanilla and mix until smooth. Set aside. 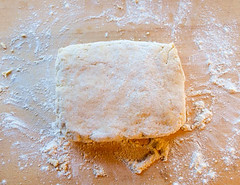 Oncet he dough has chilled roll it out on a lightly floured surface until it forms a 9x14-inch rectangle. 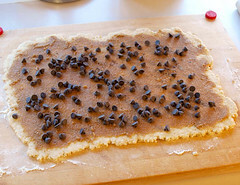 Evenly spread the brown sugar filling over the dough and sprinkle evenly with chocolate chips. 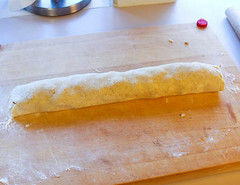 Carefully roll the long edge of the dough toward you to form a log. With a sharp knife trim the ends, then cut the log into 12 1-inch rolls. 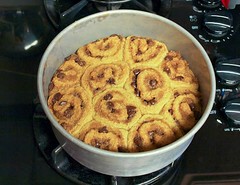 Place into the prepared pan and bake for 25 to 30 minutes, or until the rolls are golden brown and the center is firm to the touch. Cool for 5 minutes in the pan, then turn the rolls out onto a serving plate. 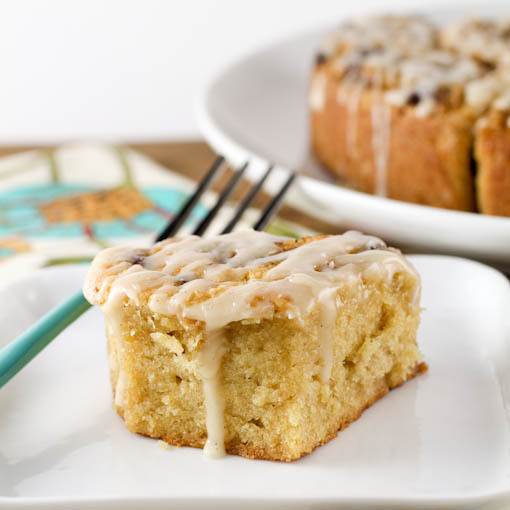 In a small bowl combine all the ingredients for the glaze and mix well. Drizzle over the warm rolls. Allow the glaze to set for 15 minutes before serving. © 2013 – 2014, Evil Shenanigans. All rights reserved.